Soaking nuts makes them more easily digestible by removing harmful enzyme inhibitors. This process is called “activation”. I have used soaked nuts and combined them with a small amount of sugar and whole grain flour for binding. Makes delicious bite sized snacks perfect for munching while watching a game! 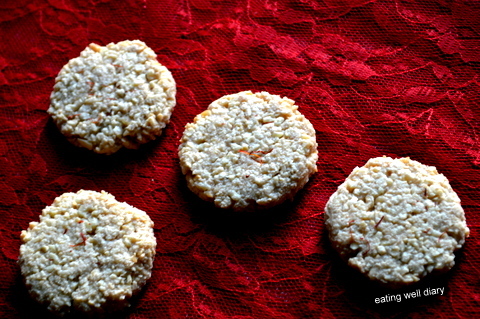 I am bringing this recipe for Sonal’s collective post on Super Bowl, as an easy dessert or an tasty, but nutricious munching snack. And taking these to Fiesta Friday 104 co-hosted by Mila of Milk And Bun and Hilda of Along The Grapevine. 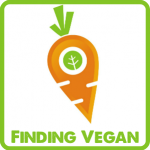 Sharing at Deborah’s Plant Based Potluck #73 at Urban Naturale, as well! Ragi or Finger millet flour- 2 tbsp. 1. Soak the cashews and almonds separately in water overnight or for 8 hours. 2. Drain water. 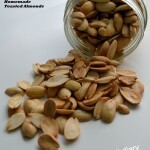 Add very hot water to the almonds, let it soak for 5 minutes and peel them. 3. In a dry blender jar, add sugar and powder it. 4. Then add the nuts and grind till they are coarse. also add the cardamom powder and millet flour to mix thoroughly. 5. Preheat oven to 350 °F. 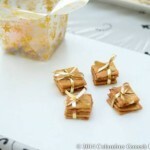 Take an aluminum tray and line with parchment paper. 6. Shape the dough into small balls with your hands and place on the tray. Flatten them roughly. 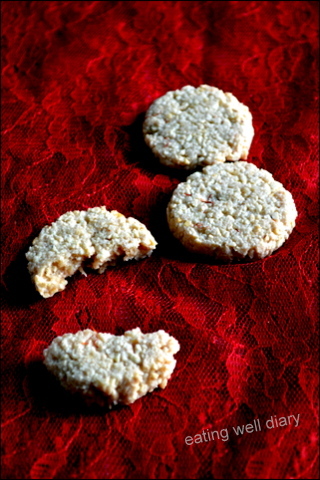 Place a few saffron strands on top of each and press them lightly into the center of the cookies. 7. Bake for 18 minutes. Cool completely before removing them from the tray. 8. Enjoy immediately or save for later in an airtight box! I love cookies like such Apsara :). Thank you for the opportunity, Sonal. You’re the best! Yes, Mila. You can never go wrong when a lot of nuts are involved. Going nuts over these cookies full of nuts. 😀 These sound amazing! Muaah, Jhuls! DO try them. I am another fan of all things nutty. I have copied this recipe to make in the near future. Thanks for sharing it with us at FF. Just in time for the Super Bowl! 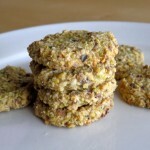 I love your healthy, easy to follow recipe. 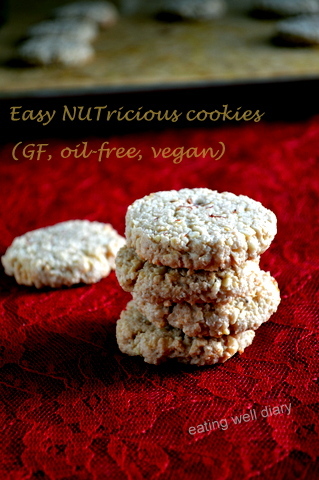 Thanks for sharing your delectable Easy, NUTricious Cookies For Your Super Bowl Party on the Plant-Based Potluck Party! I’m Pinning and sharing! Thank you dear Deborah! So happy to be part of your Potluck Link Up.